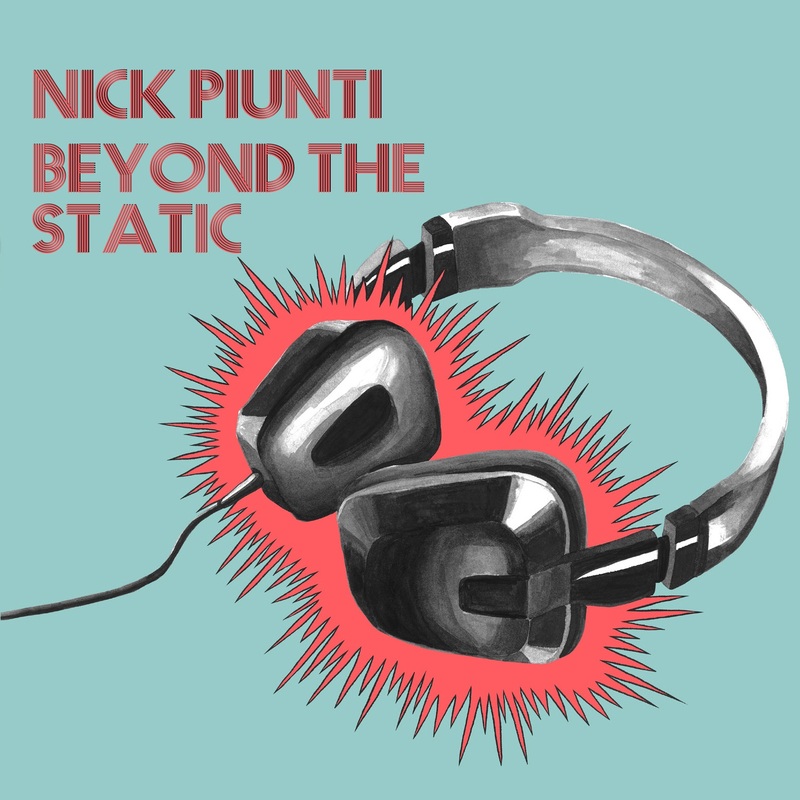 We were a bit late stumbling upon Nick Piunti’s work but we absolutely loved his last release “13 In My Head”, which was a corking collection of power pop songs. That album left us eager to hear more from Nick and thankfully he hasn’t messed around and is now releasing his latest album, “Beyond The Static”. The only question now is whether he has been able to repeat his knack for delivering top pop rock tunes? Thankfully, right from the opening track “It’s A Trap”, we know that we are in for yet another treat. The first song is a crisp, punky rock song which is as catchy as hell. Things get even better with songs like “Heart Stops Beating” and “Time Machine” which are power pop perfection and like a Cheap Trick for the modern age. Things slow down a bit on “Head In The Clouds” which has a more sixties vibe, that is more like The Raspberries or maybe Jellyfish. There is also a more laid back feel to “Anything But Easy” which is an exquisite modern ballad that could easily be turned in to a huge hit. Whilst “Quicksand” is a song which will just carry you along like a beautiful beam of sunshine. We also love it when Nick adds a bit of punk to his pop like on “Seven Days A Week” and “Fell For You”. On both of these, though, he can’t resist sweetening them with a big pop hook. Importantly, whilst Nick’s sound may have something of a retro pop feel, it is still very relevant today. This is demonstrated by “Something’s Wrong” which has a modern and more angular tone to it. Whilst final track, “Red Tail Lights”, has a melody which feels like it was crafted in the sixties but the message of the song is more relevant than ever in this crazy, fast paced world. As already mentioned, it is easy to feel almost nostalgic when listening to this album. Although really that shouldn’t be the case as, more importantly, it is just an album full of brilliantly written pop songs which are actually timeless. It’s the sort of album where you hear one song, think it’s great and turn up the stereo. However, then the next one comes on and that’s even better so you turn it up again! You’ve therefore got to decide to either start with the volume very low and keep cranking it up, or (and our preferred option) put it on full blast and enjoy every song to the max right from the start!